As a pioneer of digital transformation, Tech One Global spearheads another event to help businesses to achieve more. 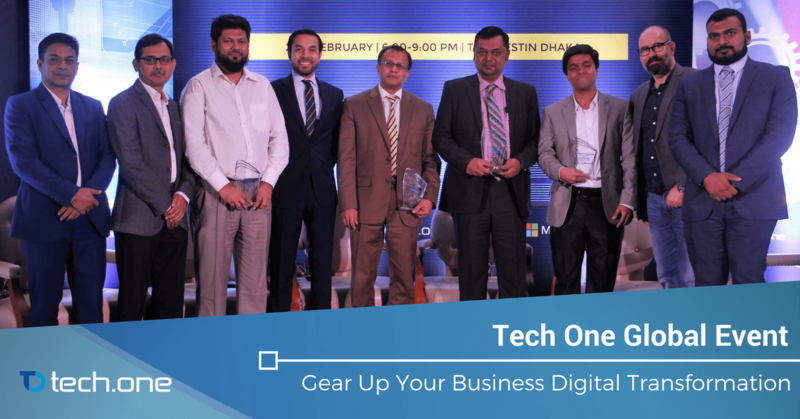 Tech One Global and Microsoft organized an event entitled “Gear Up Your Business with Digital Transformation.” It was an evening event presentation held at Ball Room 2 and 3, The Westin Dhaka from on the 28th of February, 2017. 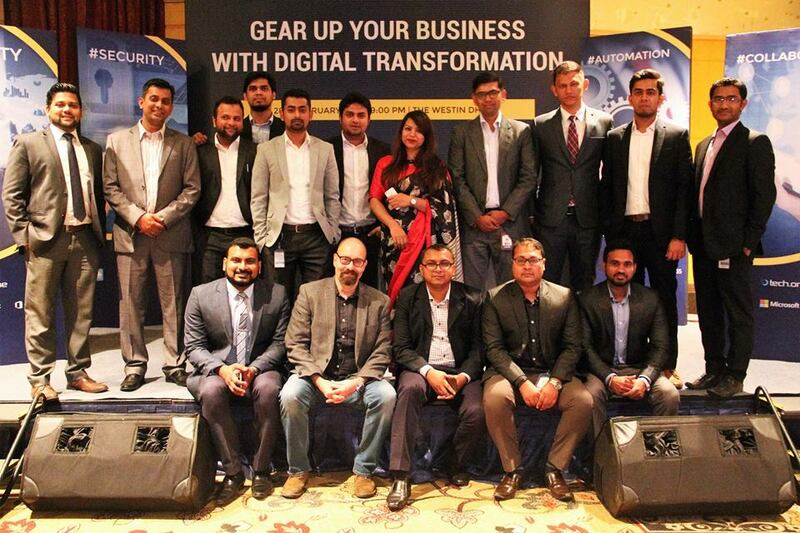 The event tackled topics about the effects of digital transformation and how businesses can adapt to harness its full potential by revolutionizing business operations through digitization of documents and implementing enterprise level IT solutions. Tech One Global prides itself as a pioneer of digital transformation for developing countries: from document digitization to harnessing the powers of the cloud. The event started with Tech One Global’s Managing Director Mr. Lahiru Munindradasa, delivering the welcome address. This was followed by a revolutionary take on business readiness for digital transformation by Mr. Abu Saleh Mohammad Rasheduzzaman, Cloud Solution Specialist of Microsoft where he talked about the challenges that companies face in today’s technological disruption. “I think what’s important is for companies to start early in the digital transformation journey, this will give them ample time to adjust their business operations and lessen the impact of disruptions for the whole company” said Mr. Abu Saleh Mohammad Rasheduzzaman, Cloud Solution Specialist of Microsoft. The event continued by tackling topics on Digital Transformation with 4th industrial Revelation by Mr. Lars Jeppesen-Respected CEO of Tech One Global, business productivity by Senior Technology Specialist Mr. Moshiur Rahman from Tech One Global and decision making through big data by Navid Khursid, Presales Technical Specialist and Mithun Dey, Solution Architect from Tech One Global. The event reached its climax with an engaging panel discussion about staying ahead with Digital Transformation. This ignited the innovators and visionaries in the crowd, each willing to explore beyond the boundaries of their traditional business operations. The panel discussion shed new light on how to tackle digital transformation: by looking at it not only as a technological disruption but also as an opportunity for all companies to grow exponentially by empowering each crucial part of it.